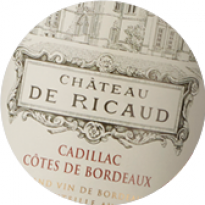 Château Ricaud’s revival can be mainly attributed to Cadillac, in Côtes de Bordeaux. 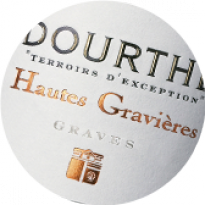 Here, the wines reveal the finest expression of Merlot cultivated on clay-limestone soils and Cabernet Sauvignon on gravel. 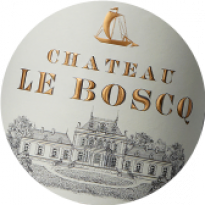 The consistently high standards of recent vintages have made this a rising star in Côtes de Bordeaux, offering well-structured, complex wines, combining intense fruit with lovely soft character. Ageing in oak barrels (225 liters and 400 liters) for the best lots. The first half of the year was blessed with excellent conditions, with the first signs of flowering emerging 29 May, slightly earlier than average. 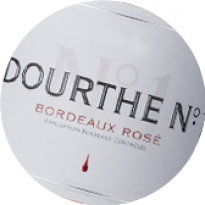 Hot and dry weather lasting just over seven weeks from mid-June to the end of July, blocked growth in the youngest vines. We meticulously adapted canopy management techniques to minimise the effects of water stress, and the vineyard coped well as a result. A spate of moderate rainfall in the middle of summer proved sufficient for veraison to get underway across the entire vineyard. 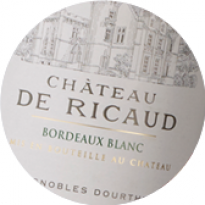 The grapes swelled and favourable we ather at the beginning of autumn facilitated excellent ripening. Harvesting lasted two weeks, and with no rainfall, we were able to leisurely pick each parcel at optimum ripeness. 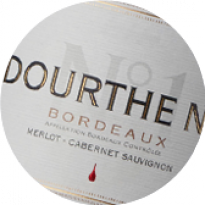 Cabernet Sauvignon and Merlot are wonderful. Deep, intense colour. 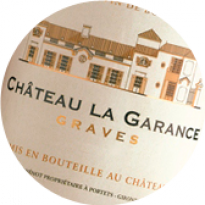 Cultivated on gravel over clay, Cabernet Sauvignon dominates the blend, offering an intense bouquet with precious wood aromas of cedar, together with cigar box and delicate spices (white pepper). 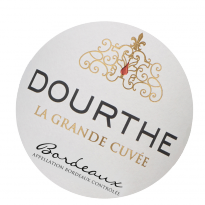 On the palate, the concentrated, velvety texture envelops the tongue, revealing generosity and intensity, together with great balance. 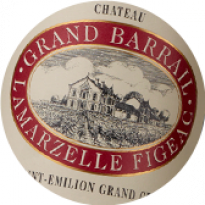 The tannic structure and impressive length point reveal great ageing potential. 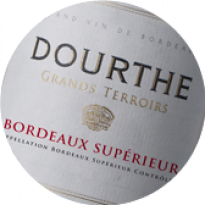 This generously structured wine is rich in tannins and fine, ripe black fruit. 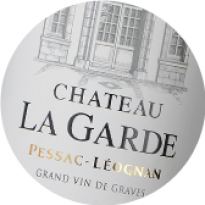 Its structure and juicy acidity will allow it to age well. Drink from 2020. 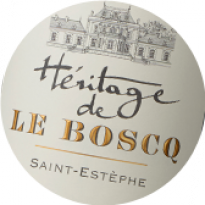 While the quality of the vintage owes a great deal to the excellent late-season, a vintage of this quality would not be possible without considerable work in the vineyards earlier in the season to ensure pristine quality in the vines and stunning fruit. Super weather set in at the end of August. 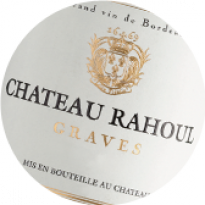 The Merlot on clay-limestone, and Cabernet Sauvignon and Petit Verdot on gravel took full advantage of the Indian summer to fully ripen. 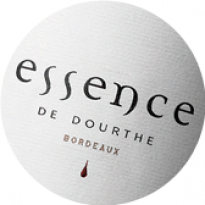 Aromas, colour and tannins bring richness to the grapes, in turn creating fruity wines with a silky, dense tannic structure. 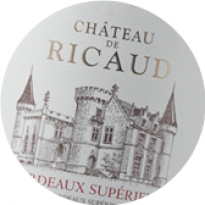 On Ricaud’s clay-limestone soils, the vine has found its natural balance, despite fluctuating water supplies, as a result of 2013’s changeable and often extreme weather conditions, which offered little respite in the vineyard. 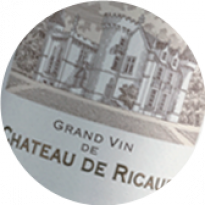 The vineyard at Château de Ricaud, which was reorganised in 2008, reaped good results in the young Merlot, Cabernet and Petit Verdot vines, which all flowered before the rainy downpours at the end of June. The older Merlots, where volumes were severely reduced by adverse weather during flowering, were also tended with meticulous care to allow the grapes to ripen in optimum conditions. 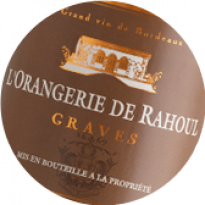 The reds show classic, fruity character with good structure, which is surprising considering vintage conditions. 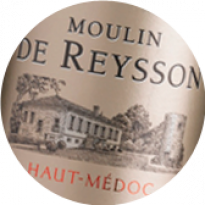 Attractive and concentrated in appearance, sappy on the palate, offering a cavalcade of appealing fruit, freshness, rounded tannins and subtle oak on the palate. 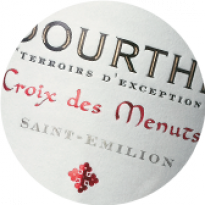 Painstaking remodelling of the vineyards at Ricaud, undertaken by the Dourthe teams in 2008, paid off in this complex vintage. 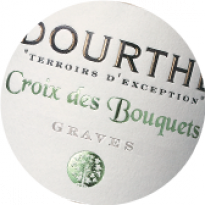 Vines planted on high quality, predominantly clay-limestone terroirs, coped well, despite significant variations in water levels. The ideal weather conditions from the month of August onwards, raised our hopes for a really great vintage, which has been confirmed on tasting the different batches. The reds, which were left on the vine until the very last minute, were picked at the start of October over a relatively short timeframe in order to reap the benefits of good weather at the start of the month. 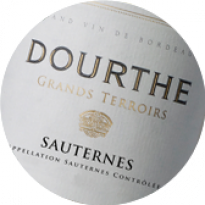 They are already soft and well-balanced, underpinned by impressive aromatic intensity. Deep in appearance with ruby tones. 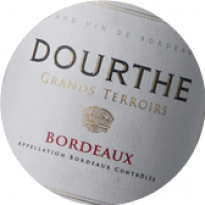 The complex bouquet reveals ripe fruit aromas of strawberry and cherry, together with a hint of liquorice. 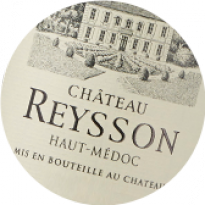 Very generous on the palate, structured by lovely, rounded tannins, evolving towards a long, savoury finish with well-integrated oak character. 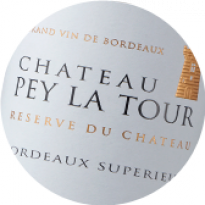 This superb Bordeaux from the strong 2012 vintage is a blend of mostly Cabernet Sauvignon and Merlot grapes grown in Cadillac to the south of Bordeaux with vines planted in an ampitheatre. It's aged in 400-litre barrels, the larger size so as not to impart heavy oak flavours. 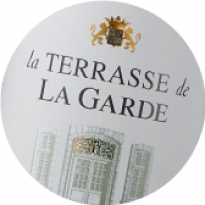 This wine is deep, dark and concentrated, a great expression of its terroir and an exceptional value for the price. Spicy finish. Decant 1-2 hours. 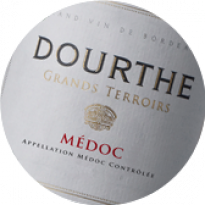 Pair with a rare steak. This Vignobles Dourthe wine is ripe and richly textured. 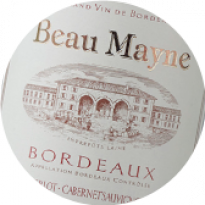 Full and blackberry flavored, it is 84% Merlot, 11% Cabernet Sauvignon, 3% Cabernet Franc and 2% Petit Verdot. 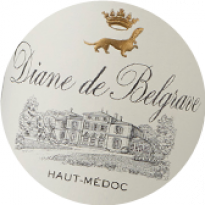 An attractive interplay between the fruit and the tannins gives a balanced wine. 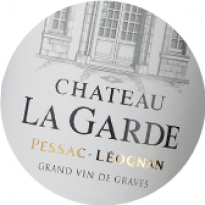 Without such diverse terroirs, and meticulously tailoring work in the vineyard to the unusual weather conditions of the vintage, it would not have been possible to moderate the effects of an unusual water deficit in Bordeaux, lasting until the end of June. With the return of rainfall in July, the growth cycle was kickstarted once again and with it the development of normal ripening. Constant vigilence in the run up to the harvest meant that any disease pressure from Botrytis was contained. 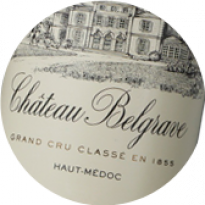 Sorting before and during harvesting has been a crucial element in the quality of the vintage. As a result, it was possible to vinify fruity and expressive Merlot, and Carbernets and Petit-Verdot which have benefited greatly from the sunny weather conditions and remarkable temperatures before the harvest. 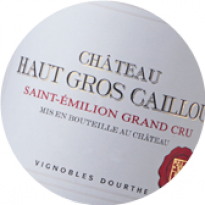 Attractive, complex nose offering ripe fruits and liquorice. 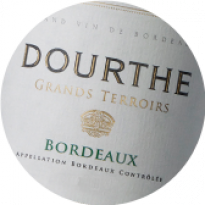 Rounded, fresh and well-structured palate, and well-integrated oak on the finish. After a relatively cool spring, July and August were extremely kind, with abundant sunshine and ideal temperatures. 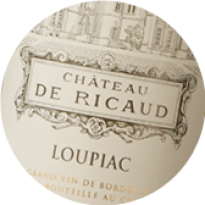 The effects of water shortage were tempered by the calcareous-clay soils of Ricaud, and by a careful adaptation of the works in the vineyard to limit evaporation. 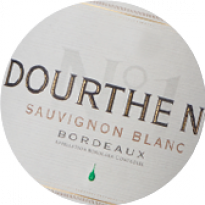 Pronounced day and night temperature variations allowed to preserve the natural acidity and favoured a good ripening of the berries : Nature delivered healthy, concentrated and fruit-intensive grapes, perfectly weel-balanced. 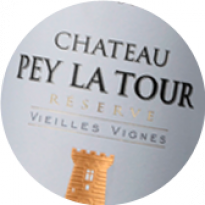 Deep red ruby color, complex nose offering ripe fruits – blackberry, blackcurrant - and licorice. 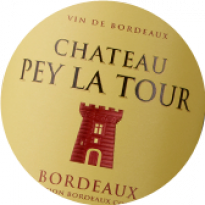 Full-bodied, generous and well-structured palate, with round tannins. 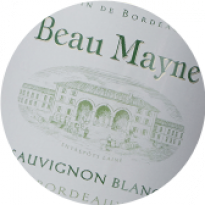 Well-integrated oaky note on a nice fresh spicy finish. 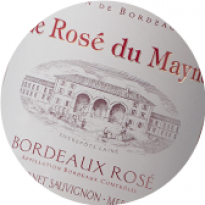 Pretty nose of raspberries, red apple and cherries. Pens up with some vanilla and some flowers. 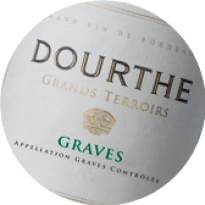 Full and round on the palate with bright acidity and a very enjoyable fruit. Fine tannins and good length. Drinks well already but the new wood will integrate better over the next couples of years.